A Path Back to Critique: What to do when the client sends you their own design instead of feedback on yours. 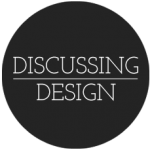 | Discussing Design - Paying attention to the details of design critique. Most of us have been in situations where, instead of getting what we’d consider to be useful feedback on our designs, we get a list of changes to make to it. And often this list doesn’t include a clear indication of why the changes should be made. Beyond that some of the changes might be things that are detrimental to the design and things we’d advise against. The most challenging of these kinds of situations is when it’s not actually a list we receive, but rather a new design that the client has put together on their own. We sit and stare at the screen with a million thoughts and questions running through our heads and often a building sense of frustration and insult. What do we do now? Step back and force yourself to remember that most people are not diabolically evil, intentionally hurtful people. Most people are just trying to do the best job they can, and chances are your client is not trying to insult you. Creating a design of their own is not necessarily an evil act. In fact, in most of the situations I’ve encountered this scenario or observed other designers come up against it, it’s merely due to the client finding it difficult to articulate everything they wanted to say about the design you’ve given them and thought it would be easier if they tried to show you. Hmm… “Show me. Don’t tell me.” Who does that sound like? Correct me if I’m wrong, but hasn’t the design community en masse used that as a kind of mantra to describe the inefficiencies we often encounter when trying to verbally describe things? While they most likely aren’t trying to play the role of your arch nemesis, this does give you some insight into what your engagement might be like as you move forward. It isn’t a bad thing; it can help you tailor how you work with them to increase the efficiency of your communications and idea sharing back and forth. Step Three: Critique their work. How does their design differ from yours? What specific changes did they make? Why might they have made those changes? What problems were they be trying to solve for and how did they try to solve them? Did you try to solve for those same problems in your design? How? How does your solution differ from theirs? Looking at their changes, what aspects of the design and its elements might they be indicating are of primary importance to them? Make notes on the design as you ask yourself these questions. But again, keep them to yourself. By doing this, you give yourself some time to step back and think objectively about what the client might be trying to tell you. Step Four: Critique with them. Set up some time with them to discuss the designs, yours and theirs. Thank them for their design and let them know that in order to refine the design you’d like to discuss some questions with them on their thinking behind the choices they made. In your discussion ask about the differences you noticed between their design and yours and ask why they made the change? Again, what problems were they trying to solve? What was it about your design that they didn’t think was sufficient to solve that same problem? If the solutions they’ve designed are problematic in some way to the design or product, because perhaps they go against best practices or research, ask them about it? Also ask about specific similarities between the designs and why they’re there. Did they keep them for the same reasons you made them? If you don’t have these tools, this might be your opportunity to start to generate some. As you discuss why they made decisions and learn about the aspects of the solution are most important to them and their vision, you can talk about how this compares with the findings of any research that’s been done, and possibly, on the fly generate some principles and goals that you can use to help focus discussions as the project moves forward. Now, maybe your project does have goals and principles defined, but as you’re going through the critique you’re finding that they really aren’t helping. This can be a sign that the goals and principles you set are too broad. Remember, when asking whether design options adhere to a principle, more often the answer should be “no”. If your principles and goals are too broad, this may be your chance to refine them through your discussion. In the course of your conversation, your goal is to essentially construct a critique of your original proposed design using their design as a discussion tool. You should be able to learn which design decisions you made that don’t quite work well enough to meet desired objectives and aspects that are important to the product and the client as well as how they aren’t working. And you should also have an understanding of the design decisions that both you and the client agree are working. Beyond that, you should also be looking to come away with a better understanding of your client’s vision and their thoughts on how specific design challenges might be solved. Using that knowledge you can incorporate elements of their solutions into a revised design where they work and fit best. Remember that a good idea can come from anywhere, just because you’re the designer and they’re the client does not mean that they can’t come up with a great solution to a problem. Step Five: Move forward together. Armed with a better understanding of your original proposed design and your client’s thoughts about it you should now be able to iterate upon it in a way that better aligns with the client’s thinking and strengthens its alignment with your research, design principles, etc. Of course, you have the option of ending your discussion, sitting down at your desk, making your revisions and sending your updated design back to your client. But think about it for a second. In most of the situations I’ve seen where this comes up, it’s because that’s exactly what happened in the first place. The designer came up with their proposal and sent it over in an email with a few sparse instructions on how the client should send back their thoughts. You’ve got some opportunities here. One possibility is for you to get together with the client and explore some of the changes together. Work together to generate multiple possibilities for a change and then refine them collaboratively. This gives you more insight into your client’s thinking and gives you more opportunities to help them understand the design process. Another thing to think about is how you’ll collect feedback throughout the rest of the project. Not everything can be done together in real time. There will be times when you have to put something together and then get your client’s thoughts in order to make changes. Personally, I’ve always found it’s best to collect feedback in person (physically or remotely), because then I’m able to structure the conversation to be a critique. And in the situations where someone proposes a change, I’m immediately able to ask them “why?” and get a better understanding of what it is their trying to do. Yes, there are times when schedules are tight and we can’t talk about everything we need to on our call, but by starting the discussion in this way I find that the remaining feedback that is sent by email is often more useful. Sharing and refining ideas collaboratively always has the potential to be a major pain-point in any project. But by understanding the challenges and being strategic, pragmatic and even perhaps methodical, you can focus and guide conversations so that they work toward the betterment of the design rather than pitting team members ideas against each other. What are some of the ways you’ve found to be helpful in clarifying feedback recommended changes to a design to make them more useful? 2 Responses to A Path Back to Critique: What to do when the client sends you their own design instead of feedback on yours. Thanks for this article. It highlights some truths about who the client is to us and what they are trying to do… and how to handle the whole design and revision process. I do like the point that after-all, clients have great ideas too and we mustn’t be afraid of taking them on board and working in close collaboration with them. Thanks Adam. Great article, really appreciate the insight! Having found myself in this exact scenario recently, a co-worker shared this article with me and I’ve found some really helpful hints here to avoid the situation in future. Thanks Adam!